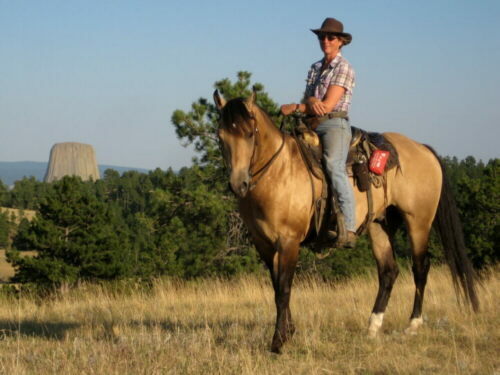 Paddysbarman is an exceptional stout and pretty grandson of Paddys Irish Whiskey. 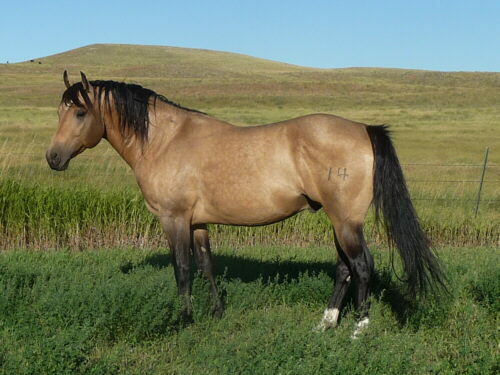 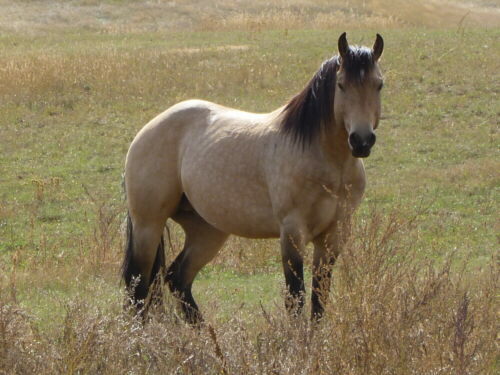 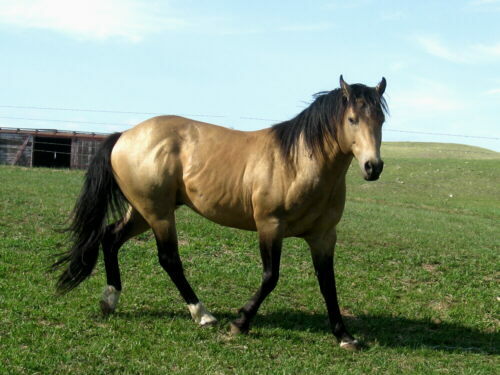 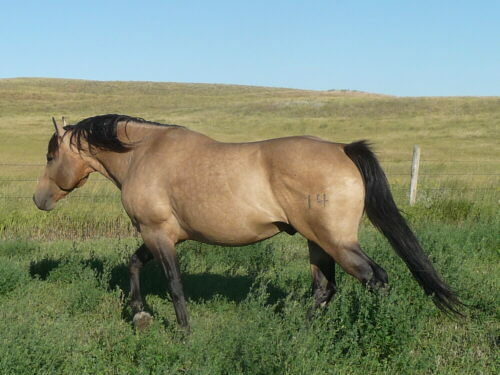 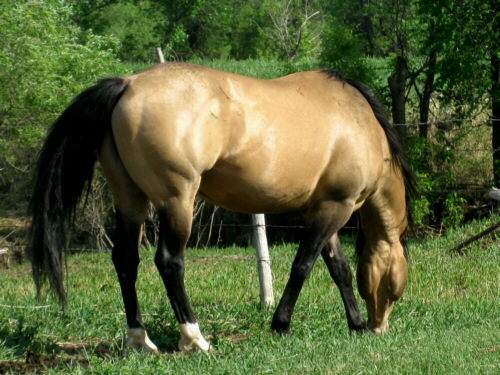 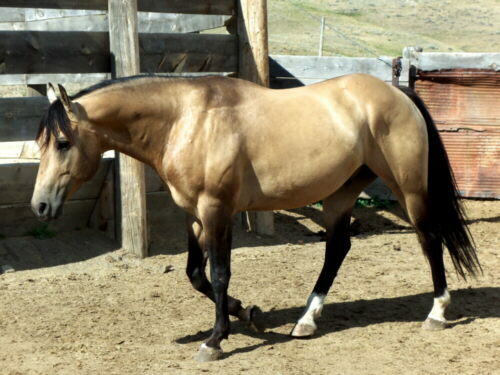 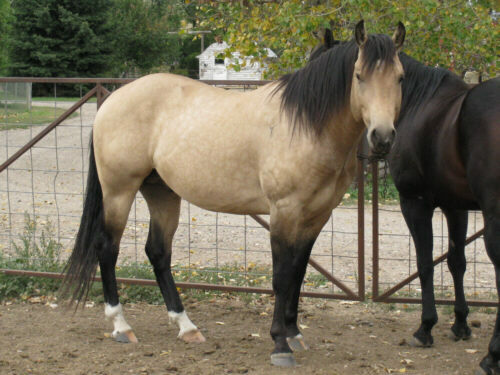 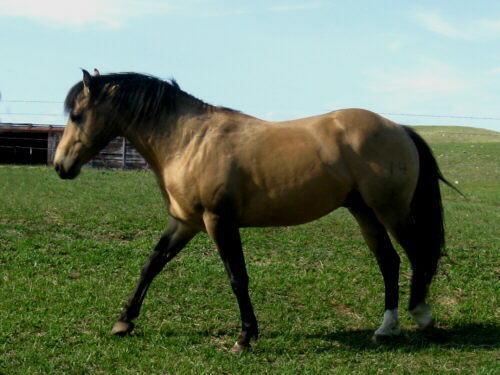 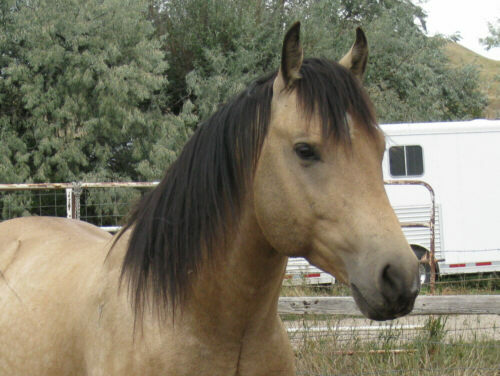 He was broke as a 4yr old and had 40 days at the ranch working cattle before he was used as a breeding stallion. 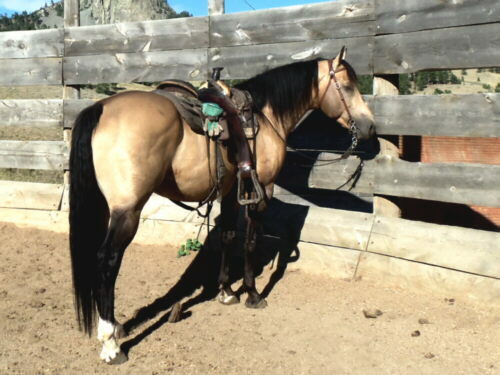 He was very easy to start under saddle, laid back and no buck. 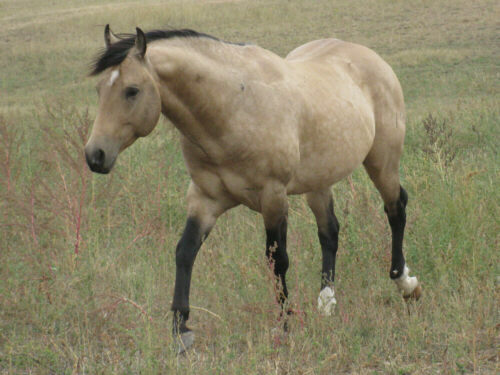 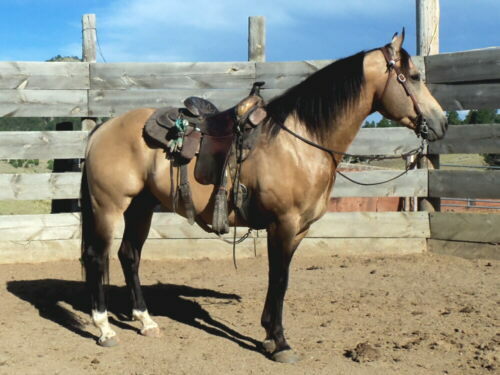 He was gelded due to draught and down sizing the herd and making a better mount as a gelding, even though he spend his off-season pastured together with two of our other stallions without any problems. 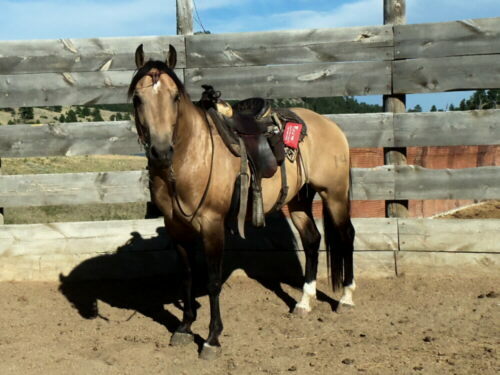 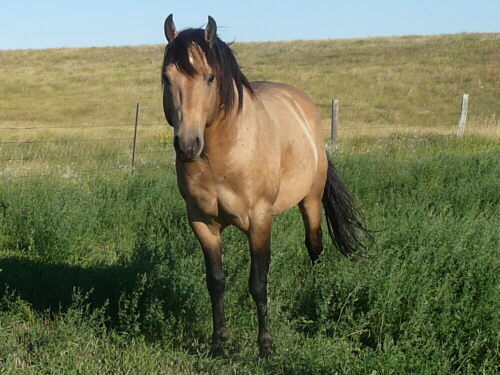 He is back under saddle, neck reins, yields to leg cues, more on the laid back side, and will be a great ranch-, cow- and trail-horse with more riding and experience. 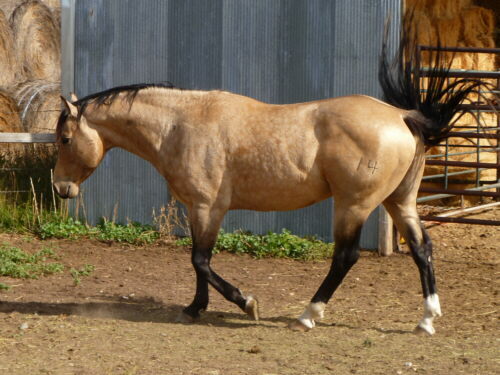 Sure doesn't hurt that he is a looker! 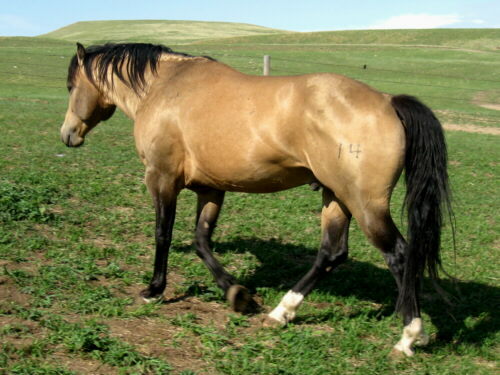 This grandson of Paddys Irish Whiskey has quite a bit to offer: looks, athletism, brain, color and bloodlines all there. 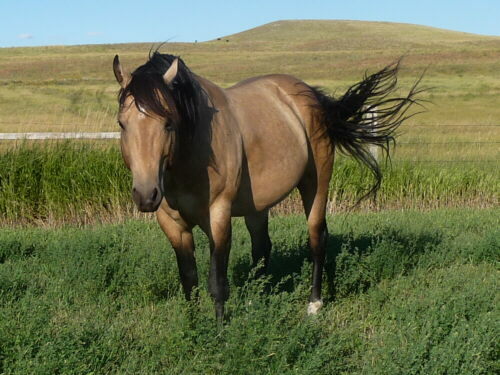 May 2012 - his last stallion day - sorry!